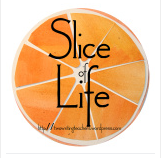 I am working on my MFA through the Solstice Low-Residency MFA in Creative Writing Program at Pine Manor College If anyone is interested in low-residency programs, I'd be happy to talk about this experience, as it is truly life-changing in my world not only as a writer, but also as a person. While I have many shares and posts to write, one of the most important is not an earth-shattering one, but a critically important one, and that is how much courage writing takes because it is SO frustrating and humbling. Over the first half of the ten-day residency, I percolated the story arc of a novel I've been working on for a few years. Yes, a few years. I have a couple of drafts written, but I know they're not quite right. During that first half of residency, I re-wrote the story arc, first in my notebook and then on stickie notes. I shared it with some of my workshop colleagues, and they liked it. The arc was clear. I could answer their questions. I knew my characters. I could describe my setting. And then in workshop, our mentor asked a question that derailed the work I've done. Who has the most compelling story? $*!%&*. The answer is not the character whose point of view is what I've written and planned on revising. Therefore, I have an entire rewrite to do, as who wants to read a book from the perspective of anyone but the one with the most compelling story. At least it's July and it will be August and those are my writing months. Onward. Our Summer Writing Academy featured poetry, and it was one of my favorite weeks of teaching writing I've ever had. Students read poems, found poems, created poems, and wrote their own poems, and the learning and inspiration that happened from studying words and language so closely was incredible to watch. We had a short celebration at the end of the week to share some of the work the students did. Summer is for fun, so we tried hard to incorporate play into the world of our writing. One of those play elements involved sidewalk chalk as a forum for sharing and celebration. Students loved writing their poems on the blacktop, and some of them even got creative with the bricks. Poems and words filled the red bricks of the school wall. Some of the students even created an elaborate and well-engineered pencil that directed and welcomed parents and guests to our poetry celebration. The caption was welcome to the wonder of our writers. Unfortunately, the custodians didn't think the brick poetry was as good an idea as we did. 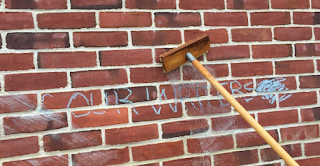 I have some advice for all you would-be writers of poetry on bricks--think hard before you allow odes to appear on bricks.. Chalk is a little sticky when it's on red clay. After listening to the custodians review their summer work lists which did not include scrubbing the outside walls of the school, I volunteered myself and my daughter to come back and remove the poetry (although I do think there could be worse things on the walls of an elementary school!). 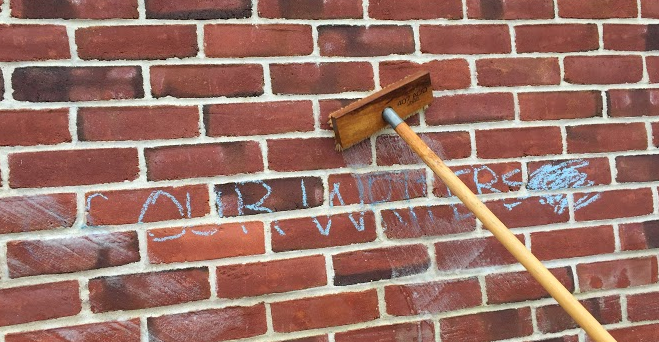 Larkin and I had great exercise scrubbing the pencil, the words of welcome, and all the other poems that so happily decorated the bricks. Matt Pascucci is a fifth-grade teacher in our district. Over the summer, he taught at our Summer Writing Academy and is sharing some of the work his students did. I spent the last week teaching as a part of a week-long writing camp. This year’s theme was “The Power of Poetry.” The best part of this year is that we were afforded flexibility in exploring poetry in whatever facet worked best. The worst part was having only a period of five days to convey everything there is to know about poetry… ever. Obviously this was impossible, so my planning ended up being driven by two things… the first, I wanted the kids to have fun and enjoy poetry, the second was that I wanted the kids to push themselves into deeper thinking while being unbound by the typical formats of poetry taught in schools. We did not write haikus, we did not write about me poems, we did not write limericks, and acrostics were not invited. In order to get my 5th going into 6th graders using their brains thinking in the lyrical quality of free verse, we spent the first day making poetry, rather than writing it. I wanted the kids to focus on crafting poetry using other people’s words, manipulating them into their own meaning. We created blackout poetry in order to discover a different meaning hidden among other words, found poetry in order to play with white space by inserting line breaks and stanza breaks, and we played a few other games using the words of other authors. The next step was helping the students to get used to looking at the world through their “poet’s eyes.” We took a walk around the outside of the school, spending time observing objects and trying to create our own poems from varying perspectives. This second day led to an activity inspired by a type of “found poetry” we had previously done independently. In a fairly lackluster activity, the kids read the works of various poets, jotting down individual lines that really spoke to them. They then rearranged those lines in order to create a new poem. These poems were fine, but they lacked inspiration and emotion. However, I was inspired. I decided to have the kids apply this idea to a collaborative production. In small groups, each student started by writing a four line poem on the topic of writing poetry. The poems were pretty good, they each had small bits of flair, emotion, and musicality. The real magic came afterwards. 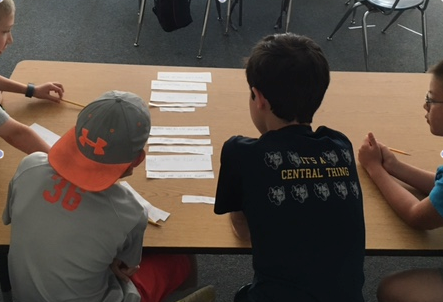 The students then cut their poems into little strips, so that each line of the poem was on its own strip. Next, the group laid out all of their lines on a table. From these lines, the kids crafted a new poem, rearranging, adding, and removing lines. Not only was I amazing by the quality of the product, but also by the true act of revision taking place. As a fifth grade teacher, I often find that the hardest element of revision for my students is the rearrangement, and especially the deletion of writing and ideas within a piece. For some reason (I don’t know if it was the fact that this was a poem, or if it came down to the freedom of playing with their group members ideas) but the kids very democratically and thoughtfully deleted, rearranged, and added ideas to make their poem the best it could be. Are racing in my head. and you are writing poetry. I'm looking forward to finding ways to weave in more poetry instruction throughout the year. 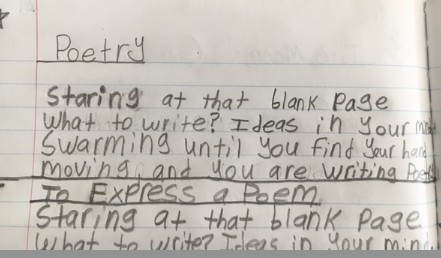 Students not only enjoy it, but they also learn so much about both reading and writing by studying the craft of poetry.